One of the best things that you can put in your yard is a layer of mulch. This layer helps to keep your trees healthy, your flowers beautiful, and minimizes the number of weeds that grow up around your trees. Mulch helps in many different ways. However, there are some problems with mulch if you aren’t careful. 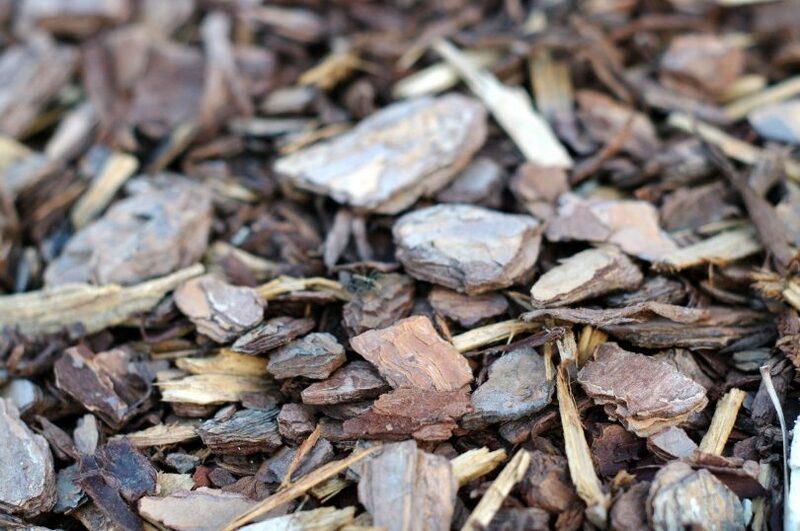 Whether you choose natural mulch, rubber mulch, or some combination that you’ve made yourself, there are so many options. If you aren’t careful about the type of mulch that you choose or the way that you lay the mulch, you may be doing more damage than you are doing good. 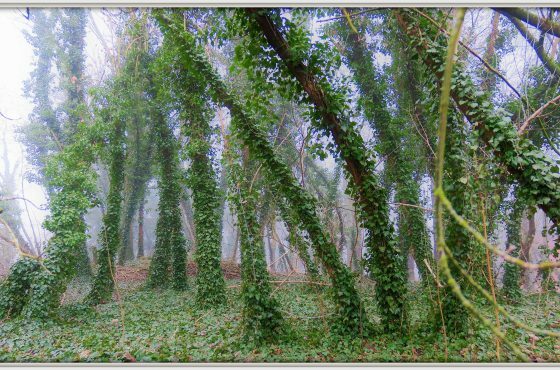 All plants, including trees, need oxygen to endure. This is because without access to clean oxygen, the trees cannot carry out something called aerobic respiration nor can it carry out photosynthesis. This procedure uses water, co2, as well as the sun’s power to generate oxygen. 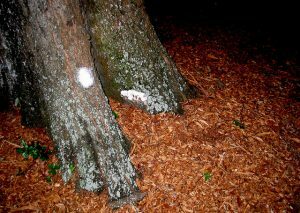 This occurs throughout the tree, however not in the roots, according to USCB Science Line. Mulch can add much needed oxygen near the roots of the tree. Its shape naturally allows for oxygen to stay and move around the roots of the tree. However, you have to be careful to move the mulch around when there is any settling that takes place. If you aren’t careful, or you use rubber mulch, it can actually get compacted down and reduce the amount of oxygen. Eventually, this will kill your tree. On the other hand, too much soil near the tree can be a bad thing. Among the most significant reasons that individuals get mulch rings or lay mulch of their own is to make their yards look much more uniform and beautiful, but what is taking place under those rings? Any water that gets trapped under there will cook and can create too much moisture. When a tree is girdled, there is something wrapped tightly around the trunk of it. When you mulch, sometimes the girdling isn’t easy to see and it might make it harder for you to see it and treat it. Sometimes, those rubber mulch mats can actually be the thing girdling the tree. 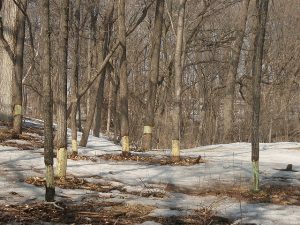 Girdling is bad because it prohibits the transfer of nutrients and water to the rest of the tree. 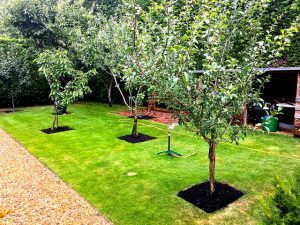 There are so many other options out there for mulching, including rubber compost mats, natural mulch, and semi-natural mulching that will help your tree look lovely – but for how long? While this is an easy option in the short term, it isn’t really going to be the best option for you in the long-term. You are only going to have various other issues down the line– troubles that will certainly need far more work compared to an easy job like spreading out all-natural compost around your tree. Keep in mind that a few of these problems could occur with natural mulch as well, though they aren’t as common. You will have a better chance at success with natural mulch. 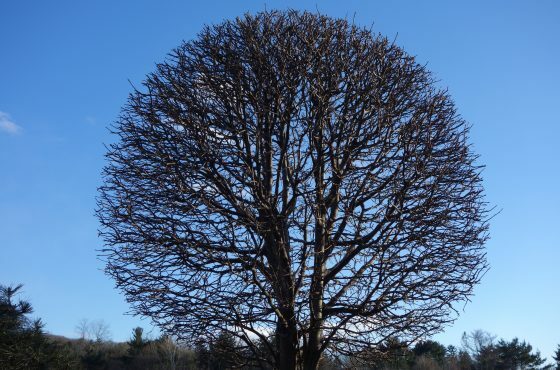 You need to take care when you spread out mulch and you should always monitor your tree for any type of problems that you see for a few months after mulching. 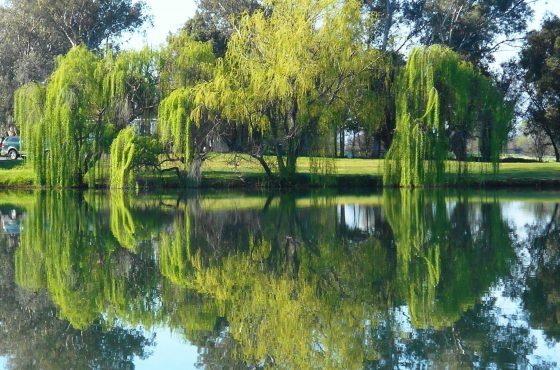 Tree care isn’t difficult, nor is taking care of a tree. Still, this isn’t something that you want to do all by yourself consulting with a professional about specific tree care techniques. For everyday maintenance like mulching around a tree, and maybe even planting the tree, you can take a great deal of it into your own hands for the most part. Still, for bigger or more difficult jobs that require a professional touch or tools, you may wish to contact a professional. If you aren’t sure what sort of mulch you want in your lawn, you may want to talk to a professional as well. There are many different options out there. Header photo courtesy of Sam on Flickr!